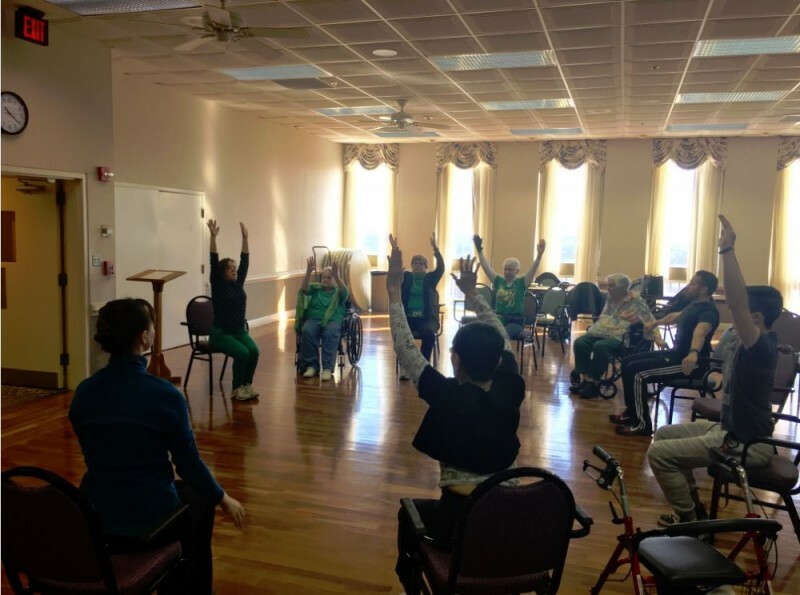 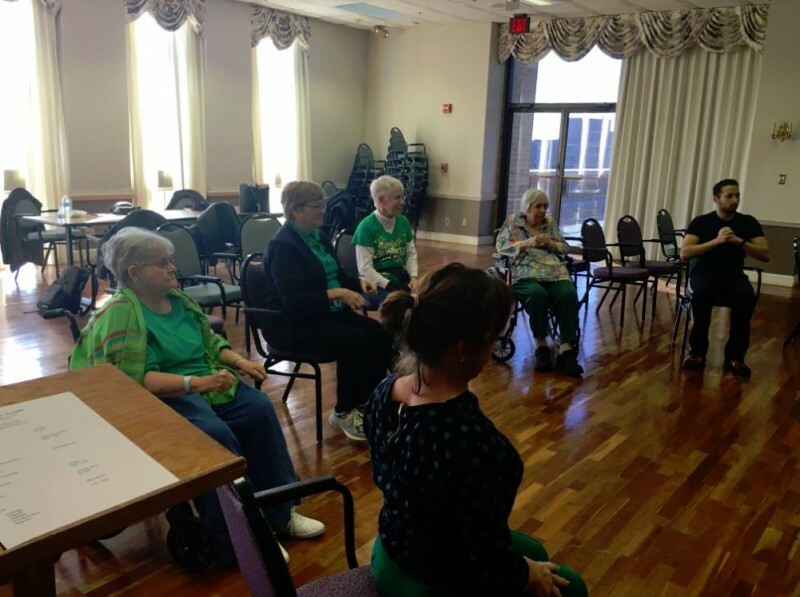 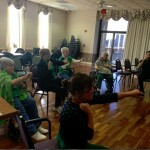 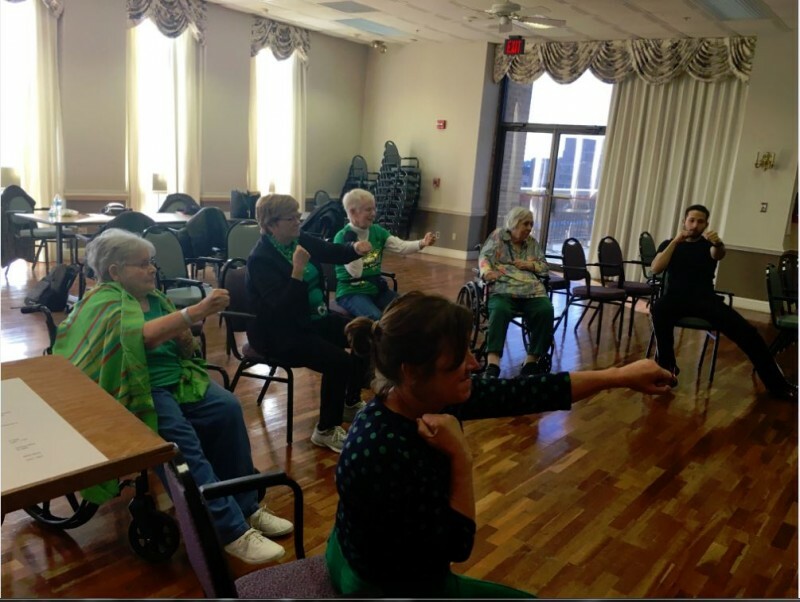 Residents at The Fountains at Washington House continue to be active and get fit by attending the adult health and development program by NOVA College Physical Therapy Department. 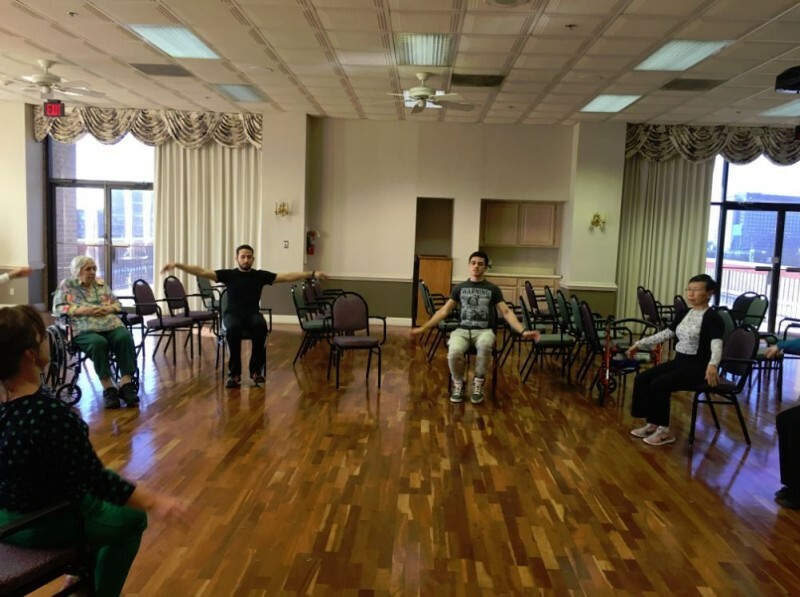 The students come to The Fountains on Fridays during the school season and lead a group session or individualized fitness exercises. 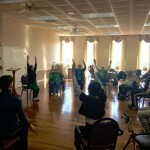 This intergenerational program began over 35 years ago at the University of Maryland, College Park. 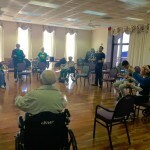 NOVA is one of the few community colleges to offer this program. 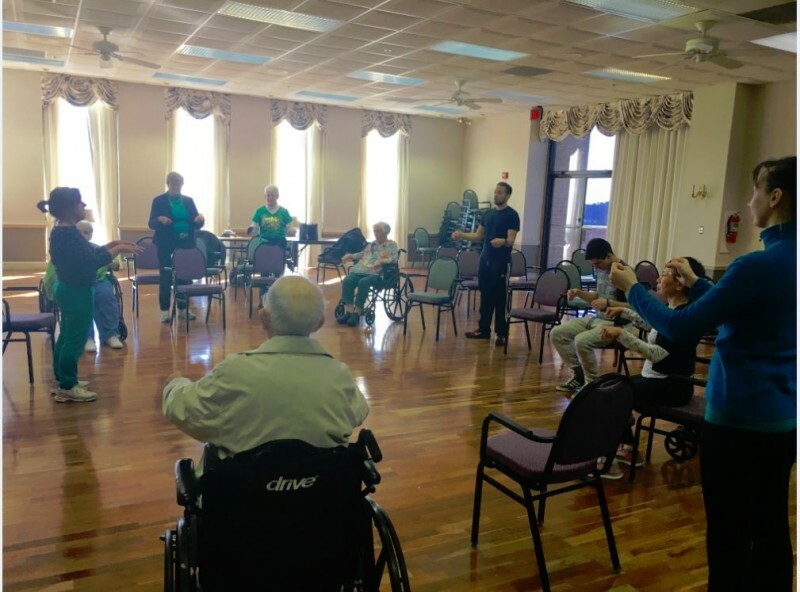 The purpose is to offer the students an opportunity to learn about aging, wellness, fitness and communication in a non-medical model. 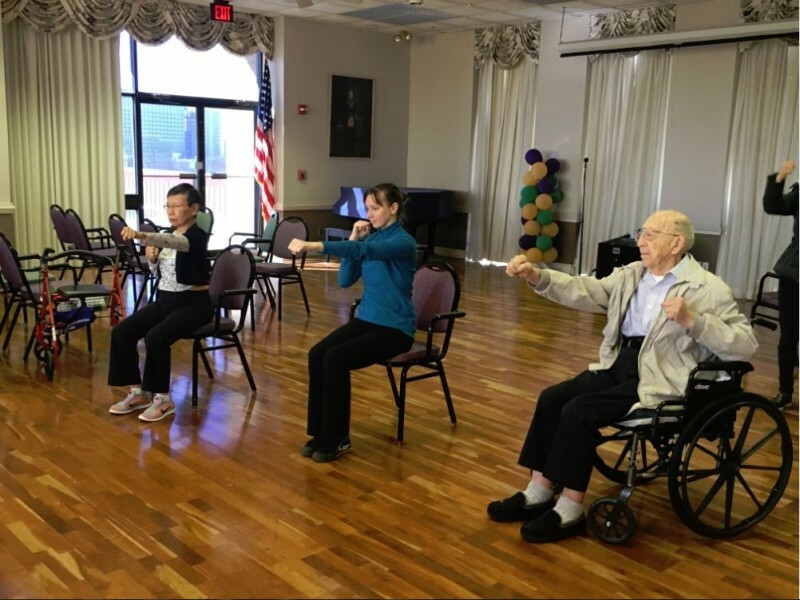 Through this experience, the residents have the opportunity to have an “exercise buddy,” share their wisdom and help the students grow and learn. 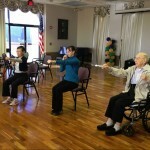 Together the well-being of both the student and resident will be improved through companionship and fun. 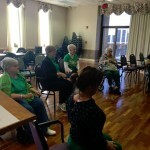 They focus is on developing strength, flexibility, body awareness and other activities to improve balance.